The main functionality of the Restore Tab is to provide a convenient three step process to Restore data of a Backup Set . 1. Click on the Restore Tab to open it. 2. The Restore Tab opens on the Restore What Sub-Task. 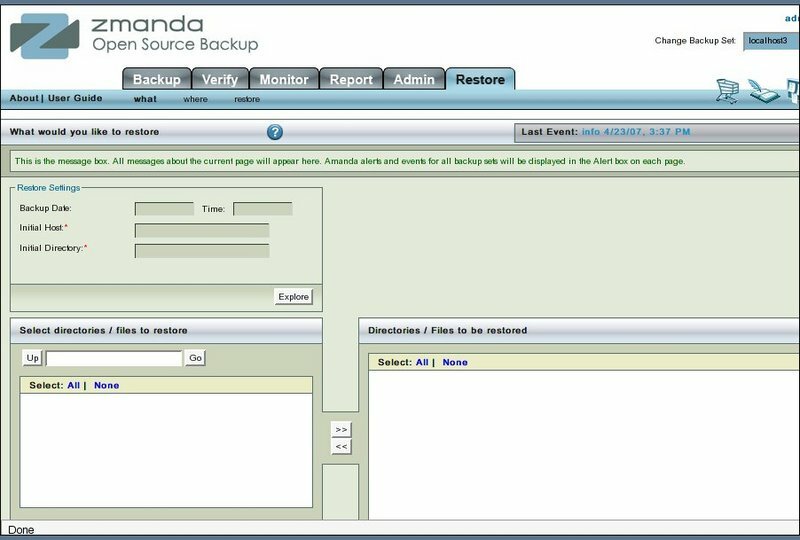 The Restore What page allows users to select directories and files to restore from a backup made on a particular date/ time. The Restore Where page allows users to specifies the directory on which the restored files could be kept on . Conflicts between existing files and restored files that need to be initially sorted out are also specified here. The Run restore page actually runs the restore process from and get status information as the process happens.